JSW - Dolvi Works - Overview to improve your experience. The 5 MTPA integrated steel plant at Dolvi is advantageously located on the West coast of Maharashtra. It is connected to a jetty which can handle cargo of up to 15 MTPA. 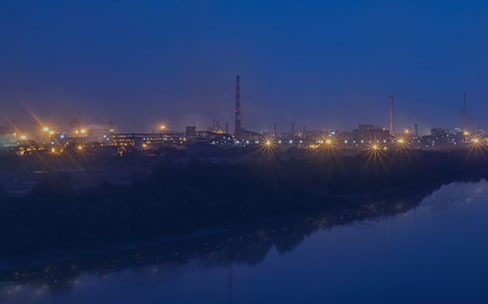 JSW Dolvi Works is India’s first to adopt a combination of Conarc Technology for both steel-making and compact strip production (CSP), aiding the production of hot rolled coils. From automotive and industrial to consumer durables, Dolvi manufactures products that meet the needs of companies across sectors. 2016 1,05,435 mangroves saplings were planted in five villages. 2017 The ‘Million Trees Plantation Project’ was undertaken, with the mission to plant 2 lakh plants in 2017, 4 lakh plants in 2018 and 4 lakh plants by 2019. The brownfield and greenfield project enabled the plant to increase its capacity to 5.0 MTPA. A second sinter plant of 2.5 MTPA capacity has also been set up. In order to diversify the product portfolio and increase the existing capacity, a new 1.5 MTPA billet caster & 1.4 MTPA bar mill was set up. To meet the increasing demand for liquid steel, the bottleneck at a steel melting shop was eliminated. The ‘Single Block’, an innovative structural method, brought about a rise in the capacity of the blast furnace.